We've got some beautiful one-off pieces at House of Oak. Pieces that will add that wow factor to your home and you can rest easy knowing no one else will ever have the same! These pieces have come directly from India and each piece is handmade, so the attention to detail is second to none. With a beautiful vintage feel these pieces have been created using reclaimed wood - so you're helping the environment too. 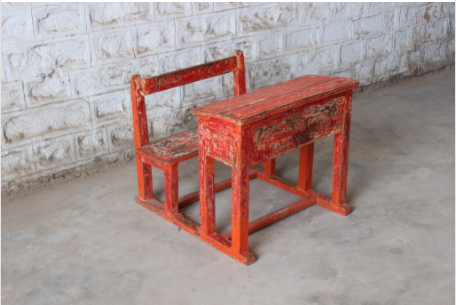 Many items are over 100 years old and were originally made by master craftsmen or were brought to India during the British colonial rule era. 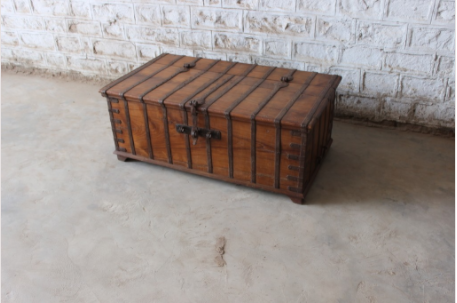 Our unique 'one of a kind' vintage wooden trunks incorporates original intricate steel work which wraps around the wooden trunk. Skillfully made by master craftsmen from decades ago, the timber used in this product has its own story to tell - It is guaranteed to be a perfect centre piece of any room given its unique look and appeal. The timber used for this sideboard is beautifully unique and guarenteed to be the perfect addition to your home. 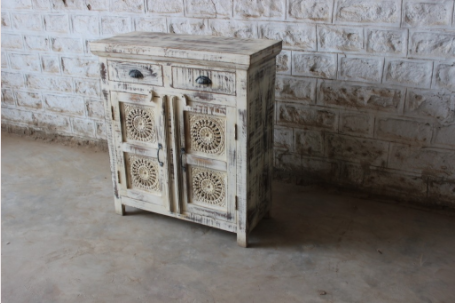 Created using vintage reclaimed timber the distressed look of this is piece is achieved through natural wear and tear and illustrates the journey these pieces have taken over time. 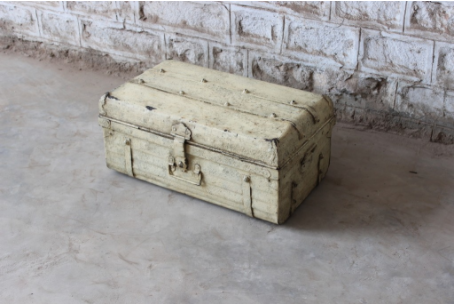 On occasion we have sourced metal suitcase trunks, often originally made in the UK and taken to India in the 1940’s – many still feature the original markings of where the metal suitcase was manufactured. Just imagine the journey that these trunks have made over their lifetime! We have the perfect pieces to make your home truly unique, visit us in store or discover our one of a kind pieces online and remember we deliver nationally. But, be quick, once each is piece is gone it's gone for good!